Fire protection systems sometimes harm – and even destroy – the very items they are intended to protect. Using water to extinguish fire can cause damage to any sort of valuable electronic equipment, like computers, servers, etc.. Clean agent fire suppression systems are liquid-free and deploy immediately without leaving behind oily residue or water that can cause damage to equipment and documents. Fast – Clean Agent systems reach extinguishing levels in 10 seconds or less! It will diffuse the fire quickly and also minimize the amount of soot and smoke that fills a room during a fire. Effective – Clean Agents are designed to control and extinguish a fire before it has a chance to spread. Clean Agents are electrically non-conductive and non-corrosive, and there will be no damage to electronics and delicate mechanical devices. Safe – A Clean Agent fire suppression system can be installed for both occupied and unoccupied rooms. Waterless Protection – The clean agent stored in the cylinders flood the room as a gas that is harmless to both your employees and equipment. This means it will not damage electronics, files, or irreplaceable collectibles. This also means that there is usually very little clean up or residue after the fire has been put out. Concentrated Fire Damage – Because Clean Agent systems are so fast acting, damage from fire is usually limited to the specific machine or area that caught flame. Minimized Downtime –With a Clean Agent fire suppression system, there should be little downtime for getting your business back in action. Clean Agents rapidly vaporizes to gas during discharge and evaporates cleanly, leaving no residue behind, which means no costly cleanup. Environmentally Friendly – Clean Agent systems are safe for the environment and have zero ozone depletion potential. 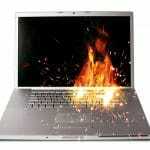 Your business has a lot to lose from fire damage to electronics. Not only could you lose your equipment, but you could lose crucial data and online business. 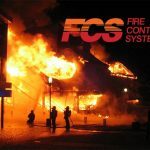 Call Fire Control Systems today to see if a Clean Agent Fire Suppression System will benefit you.